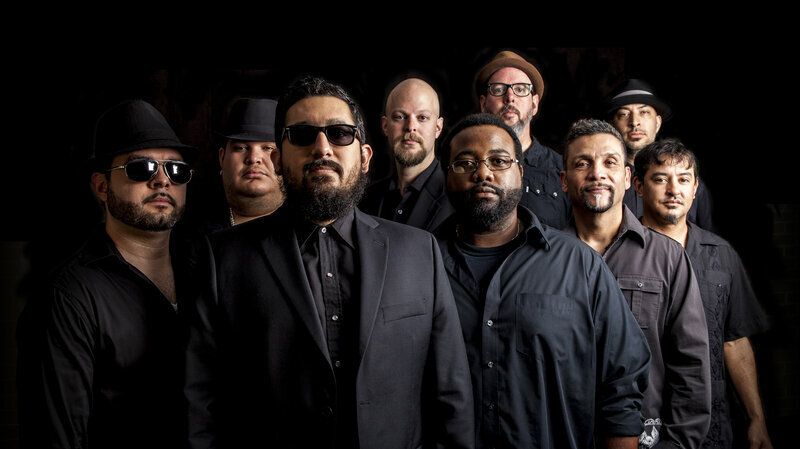 A 9-piece collective based in Austin, Texas, Grupo Fantasma fuses funk and Latin music to create a vibrant and unique sound. Their new album, their first release since 2015, will tackle identity and citizenship, borders, and questions of who is considered “illegal” in America. While Grupo has faced challenges from the press about the identity of their music, they have pushed back by creating narratives in their songs that complicate easy answers about the “nationality of music.” In their own words,“music is the ultimate assimilator, crossing borders and cultures and mutating to represent the experiences of its performers.” Grupo has six previously released albums and a star-studded collaboration lists with the likes of Prince, Spoon, and los Lobos. They even threw in a Grammy award in 2011 for good measure. Grupo Fantasma will perform at the World Cafe Live on April 11 with Philly’s own Interminable. Tickets go on sale Friday, February 8 at 10am. Their new album will be released in March 29, 2019. Listen to their new single, “The Wall”, featuring Ozomatli and Locos Por Juana, below. For more information about Grupo Fantasma’s Philly show, check out the XPN Concert Calendar.